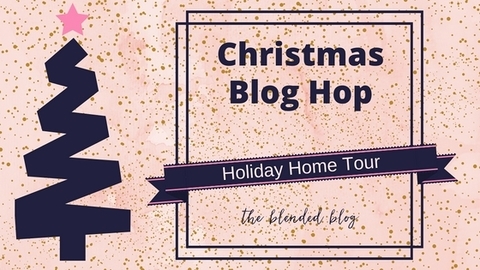 It's the second week of Christmas blog hopping, and today is extra fun, since we're peeking into the holiday homes of some of the Blended Blog ladies. If you're like me, there's nothing more festive than visiting my friends' homes and seeing how they're decorated for the season. Start at Deena's beautiful Saskatchewan home, and then follow the hop to visit Leslie, Lana, Andrea, Whitney, Sheila and Katie. If you missed last week, start here for some delicious Christmas recipes, and be sure to come back next Monday when we'll be sharing favorite Christmas memories and stories. Now dash away to Deena's - see you there!